Having migrated to Virtue Fusion software in mid-2010, Betfred has since become an all-time favourite, even more so than before. It was first established in 1967 as a single shop in Salford. Who knew that it would turn out to be what it is today? The site itself combines vibrant, entertaining colours of online bingo with a professional online sportsbook layout. 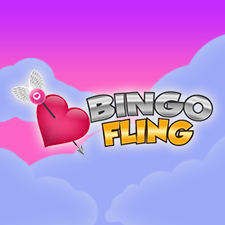 The result is an attractive online bingo site with a touch of class. Couple this with an awesome selection of games and promotions, in addition to a friendly community and great CMs, and you’ve got one helluva top-notch site at your fingertips. Sign up for a Betfred Bingo account using the promocode ‘BINGO90’ (without quotes) and you’ll get a £40 bonus and 50 free spins when you wager your first deposit of £10. Free spins on Rainbow Ryan. Betfred Bingo offers both 90 ball bingo and 75 ball bingo across a multitude of games, including the popular titles. Linked games are regular favourites, with daily BingoLinx games offering £1,500, £2,500 and £4,000 pots around the clock. There are five rooms to choose from, each of which caters for various tastes and budgets. Better yet, you can play in more than one room at a time thanks to the Multi-rooms feature. What’s more is that Betfred Bingo features a wide variety of mini- games including slots like Clover Rollover and Big Top Tombola, both of which have progressive jackpots that run well into the hundreds of thousands. You’ll also find some scratchcards and because Betfred Bingo falls under the greater Betfred sportsbook umbrella, you’ll gain access to other games in the line of casino, poker and lotto by making an initial deposit. Promotions are never scarce at Betfred Bingo. 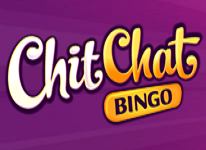 Everything from free bingo and huge jackpot promotions are on offer. All in all, you won’t run out of entertainment; that’s for sure. Betfred staff are available via telephone and email, while the live help desk permits contact at any time of day. You can’t go wrong with a betting company that has been in the game for more than 40 years. 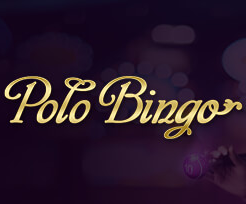 Professional and exceptional in terms of customer service, the site offers a good platform for long-term bingo entertainment that is difficult to find anywhere else. And if you enjoy sportsbooks and casino games, it is by all means an easy choice.